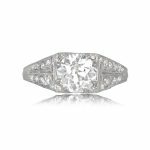 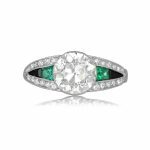 A geometric designed original vintage engagement ring that features a lively 0.75 carat transitional cut diamond, I color, and VS2 clarity. 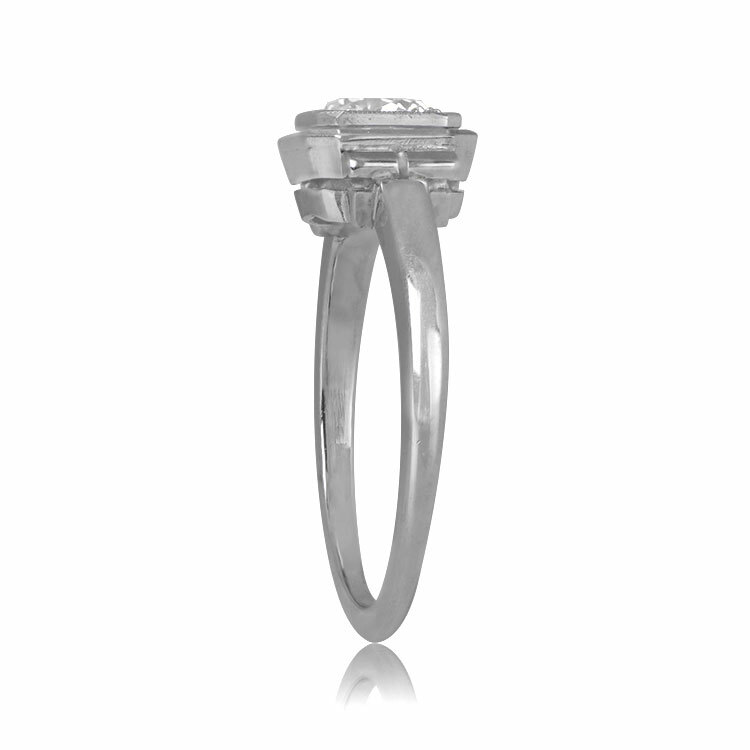 Surrounding the center diamond is a square bezel with cut corners and the design continues on the shoulders with two metal sections. 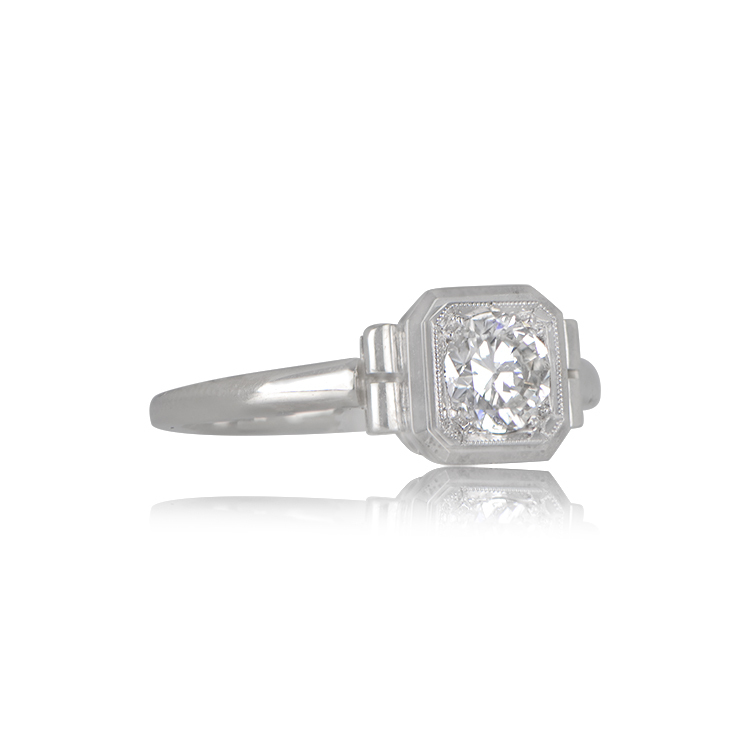 This ring is made in 18k white gold and is from the Retro era, circa 1940. 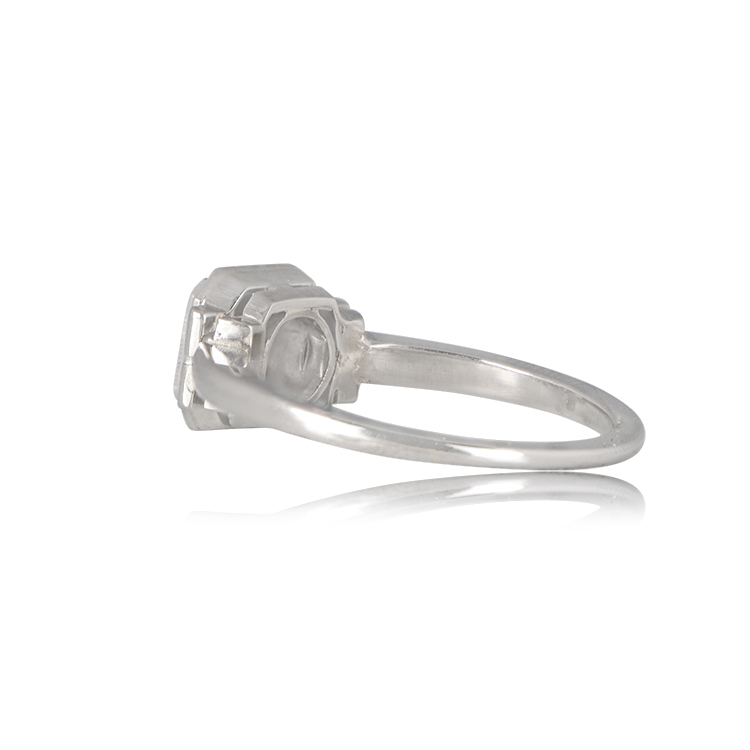 The measurements of the center diamond is approximately 5.73mm x 5.70mm x 3.23mm. 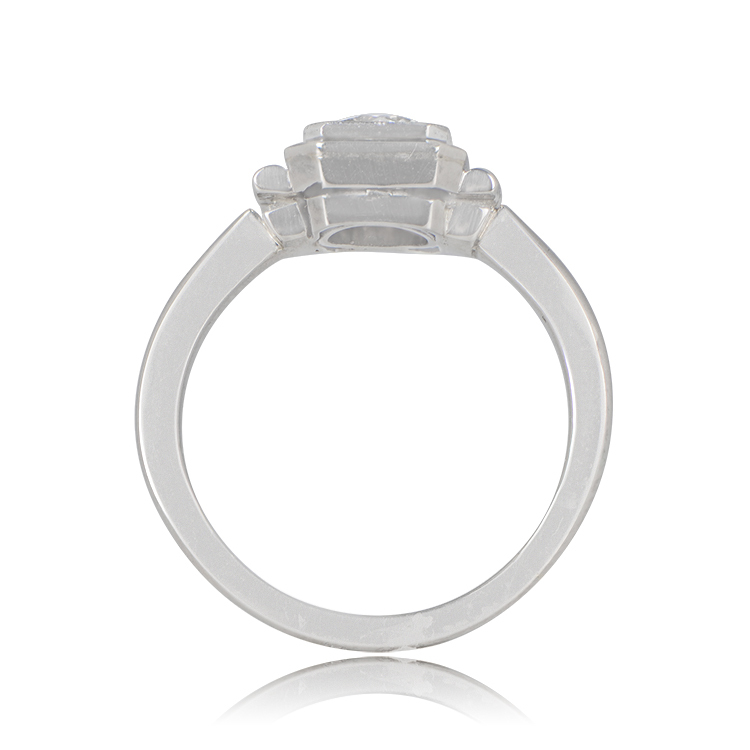 The measurements with the metal bezel is 8.00mm x 7.95mm. 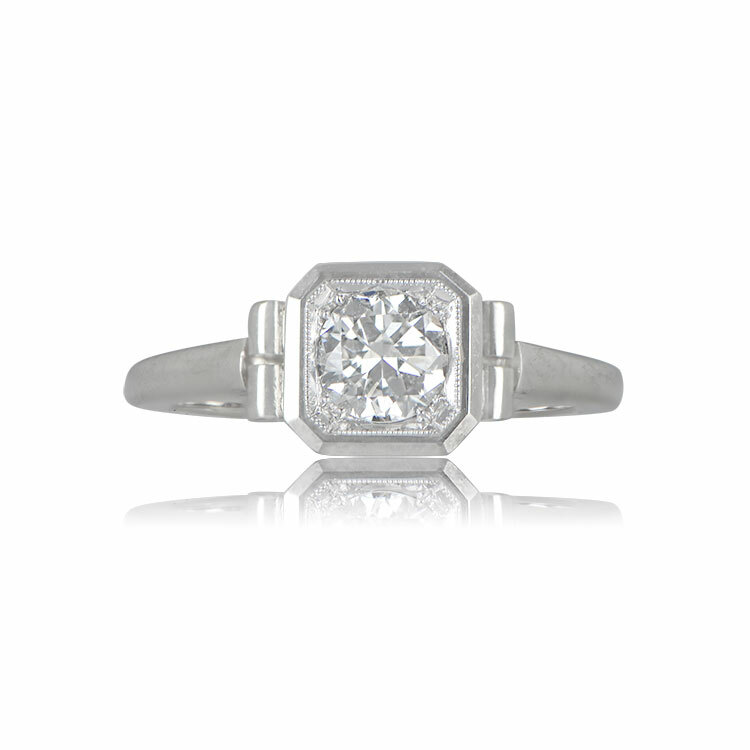 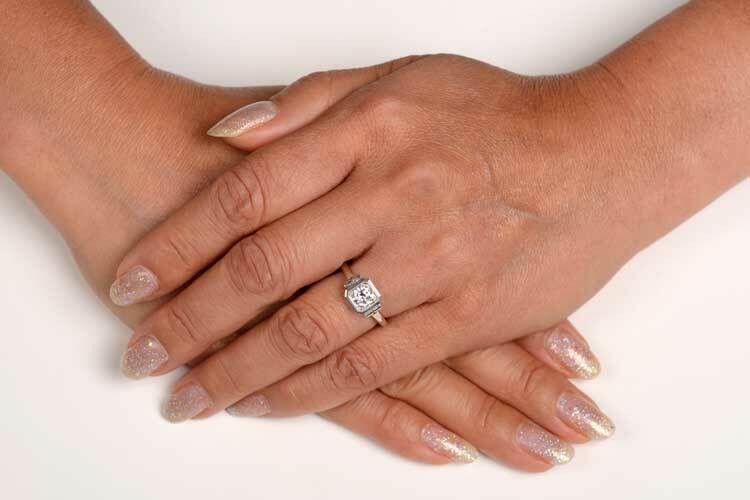 SKU: 12151 Category: Vintage Engagement Rings - Contact us and request additional pictures.